A train has derailed near Milan, killing two people and seriously injuring 10, the Italian agency ANSA reports. 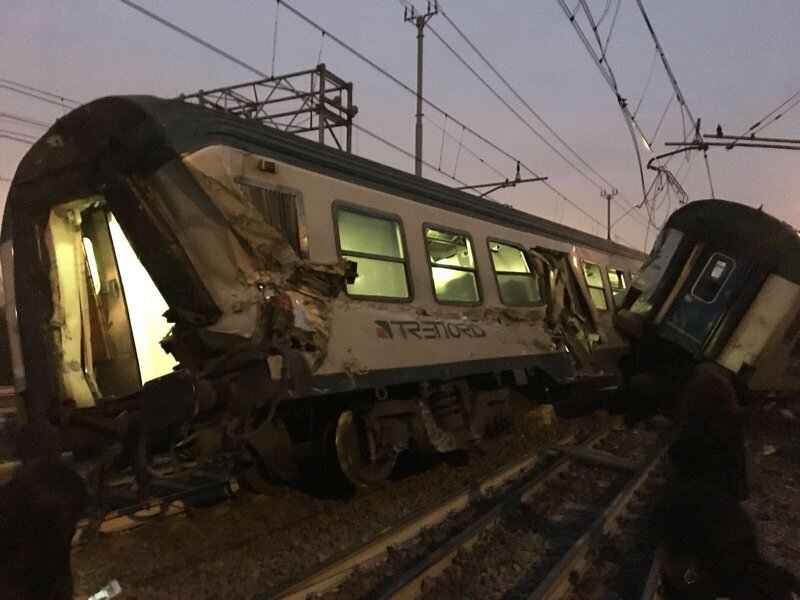 The Italian military force, Carabinieri, said the commuter train was carrying hundreds of people when it derailed in northern Italy. Two cars peeled off the rails and came to rest at an angle.